More 💯 and 101 day of school fun! 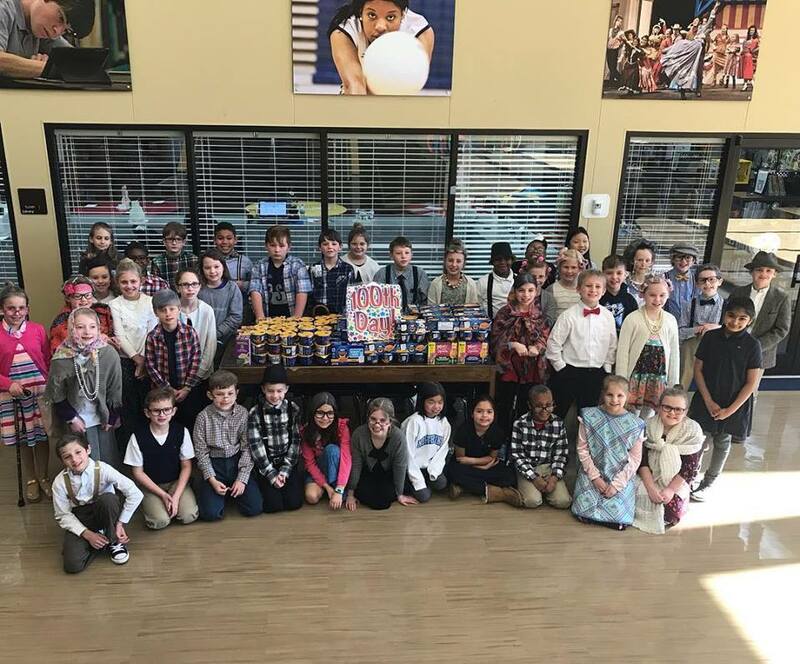 Our 3rd graders all “look 100”, and they brought over 100 boxes of macaroni and cheese to be donated to the Olive Branch Food Pantry, Backpack Ministries, and Candlelight Ministries. 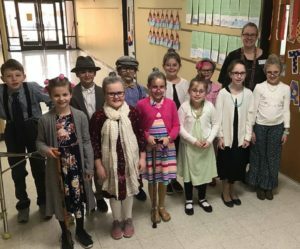 The 3rd graders dressed up like old folks for day 100. 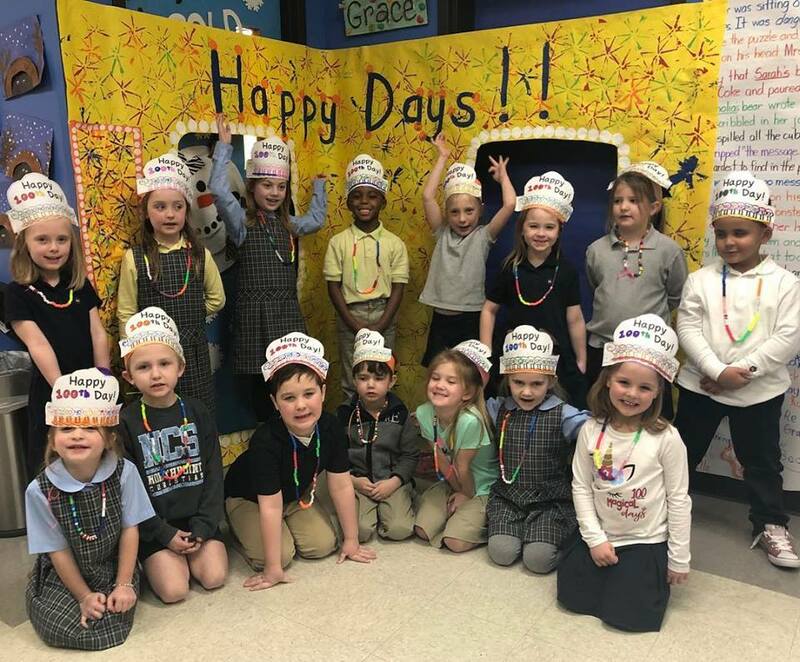 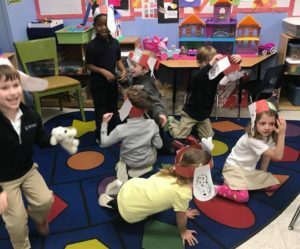 Senior Kindergarten celebrated Day 100 doing a variety of activities around the number 100. 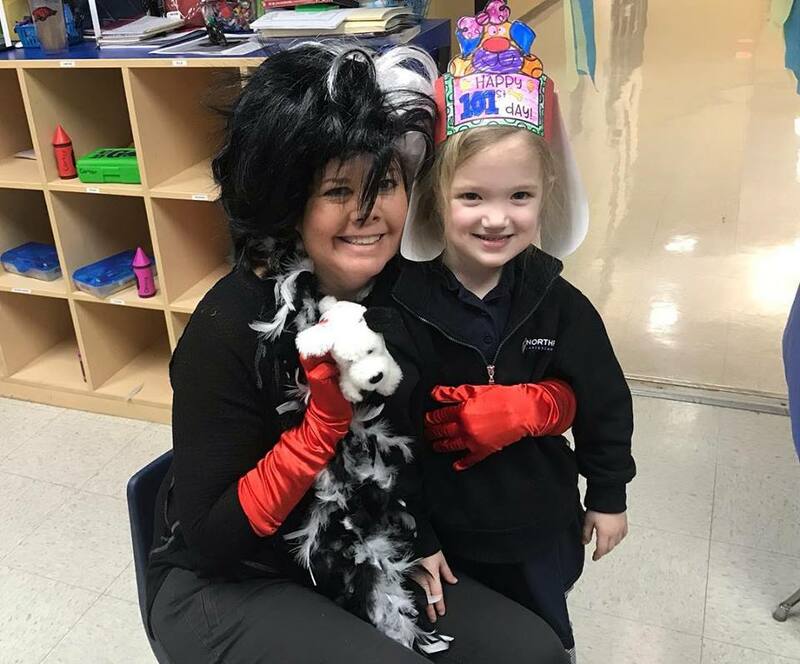 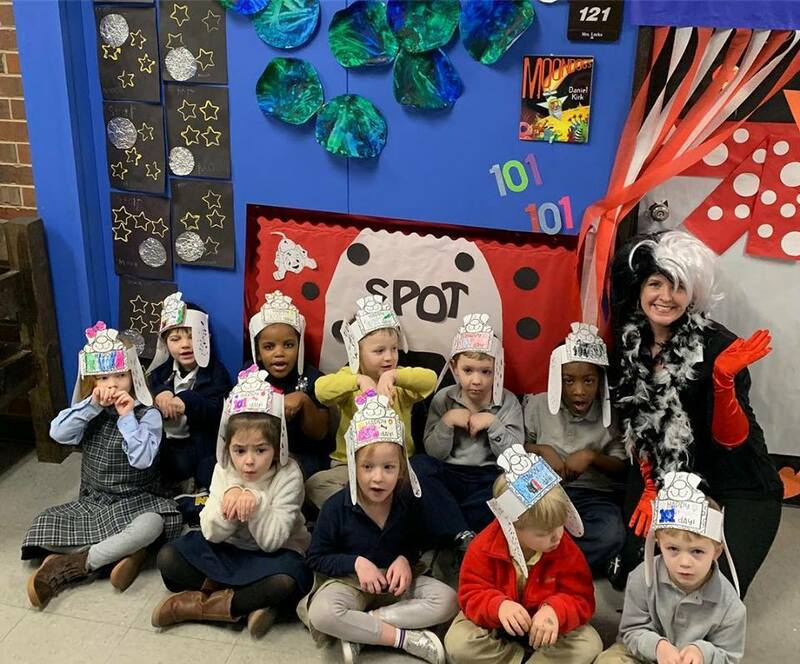 Cruela Deville showed up in JK with 101 Dalmatian puppies! 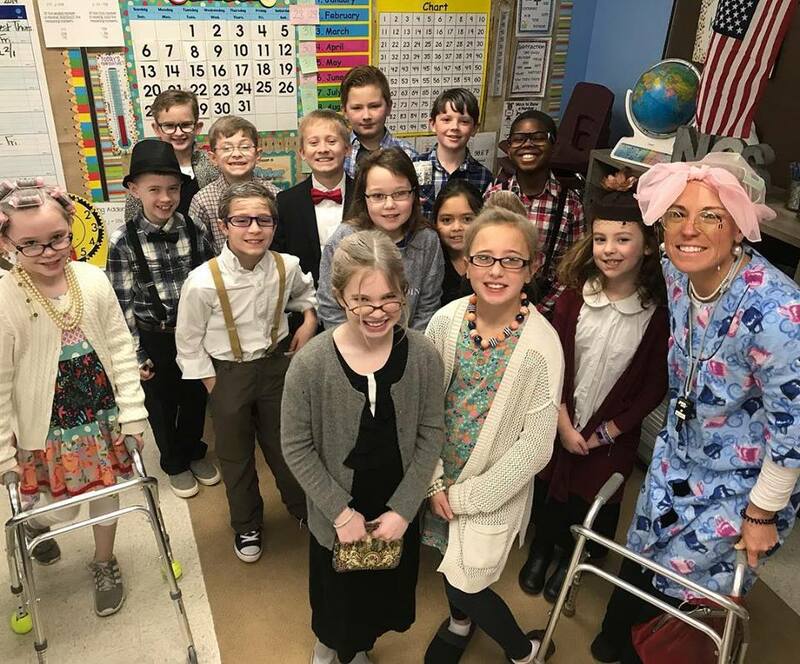 Upper elementary students also completed science experiments with 100 drops of water, and completed writing activities imagining, “What it will be like to be 100!” We love being 100 and 101 days smarter at NCS!